For months, I have been trying to figure out how to find work online . Fortunately, I inadvertently stumbled upon o-desk, a freelancing site where you get to meet hundreds people looking to hire job-seekers to do various online tasks. Here are a few tips on how to find , and ultimately get that job that you have only heard or read about in online success stories. 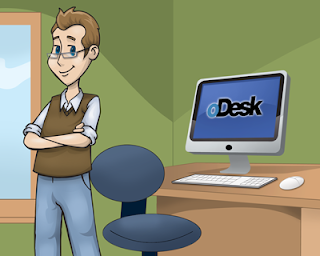 - Completely fill out your O-desk profile. The more complete your profile is, the more job applications you can send .Remember, People will tend to hire contractors who's profiles are completely filled out. - Take as many O-desk tests as you can, to make your profile more credible. Taking those tests will also assure employers that you are skilled and are capable of doing the tasks that are assigned to you. You can select from a wide range of tests that are more appropriate for your skill set . - Your hourly or fixed rate should not be outrageously high. Charge a competitive rate that would fit your skill set. - Make your cover letter stand out. Do not make generic-looking cover letters. Let your header be catchy , something that will make you unique among the rest of freelancers. - Be patient , be patient, and be more patient. When I first started, I lost hope after months of not getting hired. I quit O-desk but eventually went back and got my first job after months of applying . Everything was smooth sailing after I received my first good feedback. - Make sure you make follow ups after you send applications. Send one follow-up email, highlighting your strengths and why they should hire you. Employers tend to lose track of who to shortlist/interview and what-not due to the sheer volume of applications they receive . But do not send repetitive, redundant follow-up emails. That would be against oDesk rules. It's called spamming. - Be confident. Do not lose hope. Not all job assignments are perfect. There are stupid bosses , but please take note, your ultimate aim is to earn money online right ? If the boss becomes too opressive, politely leave the job. Remember, you want to establish a good employment history and a good feedback history. - And lastly, Make use of the free applications. Never stop applying until you find the perfect job for you.